How can I improve my French pronunciation and lose my pesky accent? Well to explain this question, we would need to understand that a foreign accent results from not fully adapting to another language’s set of phonological and phonetic rules. To make matters worse, we have a tendency to use our first language’s pronunciation rules while processing our second language, this is especially true for beginners. French is often rated among the world’s sexiest languages; yet, the same traits that make French prose so eloquent and beautiful are land mines for us language learners. French is laced with liaisons, silent letters, and a variety of sounds that do not exist in English. Let’s not forget that when you think you’ve found a rule to explain something in French pronunciation then it is usually riddled with exceptions (for example when to pronounce the final consonant in a word). To try to help my fellow French learners, I have crafted this article to give you the tools to analyze and fix your French pronunciation. First we’ll talk about phonemes (sounds) you’ll need to adjust followed by a snippet at the end discussing how you can improve your pronunciation overall. What I want to stress is that your French pronunciation can get improve with hard word and a little effort! Alright? Let’s get started! Intonation in French is slightly different than English. The easiest way to obtain proper intonation is through more exposure with the language because I could write an entire article on French intonation alone. 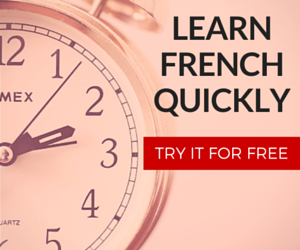 French is marked by increase tenseness with the muscles around your mouth. When saying words like vie or riz, pull your mouth all the way apart and really emphasize that tension. This tenseness plays into another factor of French: French vowels are not diphthongs, they are clean vowels. If you’re not sure what a diphthong is then check out this video. The French prefer open syllables when pronouncing words meaning most syllables end in a vowel sound. English speakers prefers the opposite, most of our syllables terminate with a consonant sound known as a closed syllable. This explains why even though the word animation is spelt the same in French and English, we pronounce them differently. We English speakers can have difficulty knowing when to pronounce the final consonant in a word. As a general rule, words ending in r, l, c, q, and f are usually pronounced (example, coq, fil, vif). I’m currently working on a long article on when to pronounce the last letter in words. 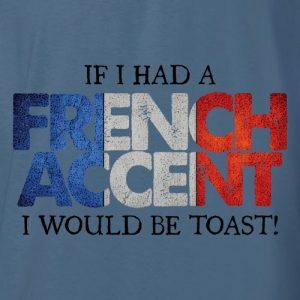 Pronunciation is very important to sounding more French, but to the French ears multiple things can flag you as a non-native speaker of French. Many factors ranging from syntax (the order in which we put out words) to lexical semantics (the words we choose to express ourselves) can play a role. Although considered a dialect, if you take the case of Southerners from the U.S who say hi like “haai” (pronunciation) and use y’all to represent you guys in Standard English (word choice) then combined these factors all tell us English speakers where they’re from. This all relates back to you speaking French in several ways: if you ultimately want to sound like a native and you produce all of the sounds correctly then maybe the problem is how you combine the sounds, which words you choose to speak with, or the word order you use to express yourself. How Can I Improve my Pronunciation in General? The easiest way is to improve your pronunciation is to gain more exposure to French, allowing you to effortlessly store the correct pronunciations in your head. Listen to French music, French radio and watch French videos. 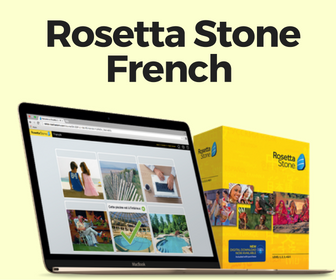 Absorb French like a sponge. It’s more fun (and rewarding) to listen and converse with others than it is to watch a zillion youtube videos on how to pronounce things (as I’ve provided above). A more proactive way of bettering your pronunciation is to repeat phrases and words after a native says something. This is especially true if you’re in a French classroom. Try to say it in exactly the same manner, even if it’s under your breath. Although this may feel silly at first, if you can’t shadow native pronunciation then clearly you’re altering some aspect of pronunciation that you shouldn’t be messing with. The only exception to that last statement would be if that the person has a very dense accent. Lastly when you talk with others, always ask them to correct your pronunciation if possible! You need to learn from your pronunciation mistakes. Before introducing a whole new set of sounds for you to learn, an easier approach is to omit certain sounds when speaking French. We’ll look at English sounds you need to stop uttering followed by nonessential French sounds people somehow keep pronouncing. The English sound [æ] within the words fat or cat doesn’t exist in French. Likewise for the [ɪ] in hit or squirrel and the [ʌ] in the word cup. Let’s not forget the [ɜ] in first, the [ʊ] in foot, the [θ] in three and the [ð] in this. We also have the [tʃ] in cheer, the [dʒ] in joy, the [ts] in cats and the [dz] in leads. Even after tossing that enormous list at you, arguably the hardest sound people forget not to pronounce is the [h] sound (in English words, hero or apprehend). The French simply glaze over the h and pronounce the vowel sound after it, so every h should receive the silent treatment from now on. The reason reviewing these sounds are important could be when we look at English-French cognates. Cognates (vrais-amis) are words that share similar orthography and meaning between languages, however they aren’t necessarily pronounced the same. When you pronounce the French word impossible as IM-PAH-SEEBLUH [ɪmˈpɒsiblə] versus UM-PO-SEE-BL [ɛ̃pɔsibl] then you secretly tell every French person you have American or English accent. Don’t lower your gaurd on French-English cognates like muscle, important, or direction; frenchify them! Lastly, anglophones have a specific problem with the pronunciation of verbs and final letters. I know it’s tempting to pronounce the -ENT at the end, but please refrain from doing so. il – ils (not ILS) the only time you’ll hear the /z/ sound is when there is a liaison. A liaison is when the final consonant of the first word attaches itself to the vowel starting the second word. So Ils aiment sounds like [il z‿aime] and not *[ilS aimeNT]. elle – elles (not ELLES) the same reason as the il – ils explanation. leur – leurs (not LEURS) the same reason as the il – ils explanation. French has several sounds that do not exist in English. As a result, you’ll need to train yourself to accommodate them within your French pronunciation. Even after years of experience with French, I still hear people butcher commonplace words like je suis or they’ll say de instead of des. Not to mention some people still have difficulty saying hello in French, BONJOUR. Unlike the English sounds we discussed earlier, I will provide external links to some YouTube videos on how to properly pronounce phonemes so that there’s no confusion. Keep in mind that sounds lie between the /slashes/ or [brackets]. Dessous versus Dessus? Roux versus Rue? Nous versus Nu(e)? Doux versus Du? This is an example of a sound that we English speakers assume we’re saying correctly however to a French person’s ears, something is wrong. If you pronounced any of those word pairs in a similar manner then you’ve failed to identify the phoneme /y/ which is nonexistent in English and replaced it with /u/ which does exist in English (within words like new or tune). From the list of words above, the 2nd word denotes the /y/ sound (dessus, rue, nue and du respectively). /y/ can be created by taking the /i/ sound in a French word such as vie or lit and rounding your lips while saying the vowel. If you do this correctly then vie should become vu as in j’ai vu and lit should become lu such as j’ai lu un bouquin. If you’re still confused then listen to this video explanation. Le versus Leur? Eux versus Heure? Veux versus Veulent? Neither of these phonemes exist in English, uh-oh. If any of those sounded the same then you’re not distinguishing between /ø/ (le, de, ne, eux, veux, feu, peux) and /œ/ (leur, heure, veulent, beurre). The /ø/ sounds like a solid “euh” sound and when it’s followed by a consonant and /œ/ is pronounced (slightly longer variation of euu). Here’s the video explanation. In English, we have nasal vowels except they are constrained to a rule. If a vowel in English comes before a nasal consonant (n, m, or ing) then we nasalize the vowel. To see this phenomenon in action, say the following words out loud while pinching your nose shut: car, camp, pin, ping, talk, talking. Notice the vibrations in your nose? An example of this nasal problem would be the words bonne or jaune which are not nasalized by French speakers except we have a tendency to do so because our native language dictates it. In French, nasal vowels are encoded into the language and are used to distinguish words (unlike in English). So if you take the French word beau [bo] and nasalize the eau (“o” sound) then you get bon [bɔ̃] which is a completely different word with a different meaning. /e/ sounds like “ay” and is similar to the vowel within the English word day (without the diphthong, the slight “yuh” sound which ends the word). While /ɛ/ could be found in the English word pet. The /e/ is typically found in open syllables, which are syllables that end in a vowel (jouer). The /ɛ/ is found in closed syllables, which are those that end in a consonant (jouet). /ɛ/ should signal the conditional tense (je partirais) although sometimes the distinction is by context. /e/ correlates to the accent aigu (dansé, téléphone, répondre). /ɛ/ corresponds to the accent grave (frère, j’achète). *Les locuteurs de la région parisienne ont la tendance à utiliser /ɛ/ pour la première personne singulier du futur (au lieu de /e/), c’est à dire à prononcer j’aurai et j’aurais identiquement. l’huile, yeux, or oui are all examples of words containing semi-vowels. The most difficult one for us to master is the /ɥ/ in huile, lui, and minuit so rather than try to explain it in words, here’s the FrenchSounds video explanation. Unfortunately, even sounds that exist in English are pronounced slightly differently in French. A huge giveaway that you’re an English speaker, arguably more so than the manner you dress or the weight around your gut, is the English R and L. Believe it or not there are three types of L’s in English (allophones) except you probably wouldn’t have recognized them all! The R and L sounds are known as liquids, these sounds are intermediates between consonants and vowels. In French the “l” is not elongated as much, it’s short and crisp. The tongue is in a different position between the two languages. The French R is the uvular r. Here’s a great video on the French R which is not by FrenchSounds and then here’s the FrenchSounds video. 1) Learn the new sounds in French and remove extraneous English sounds. 2) Try to perfect your liaisons and how you combine words. Don’t pronounce the end of words haphazardly. 3) Remember that French is marked by increased tenseness during pronunciation, the absence of diphthongs, and plenty of nasality. French words don’t exhibit the amount of stress on syllables that we put into English. 4) Don’t let your guard down when talking about cognates. Words that are identical between the two languages are pronounced differently. If you’re bored, consult IE languages French phonetics lesson. I love this site, they always do a great job: IE languages French Phonetics. I also wrote a popular, in-depth article on French pronunciation which I recommend you look at next if you haven’t gotten enough pronunciation today. Foreign accents, love ’em or hate ’em, unfortunately they’re here to stay unless you try to fix them. I hope this article helps you become more conscious about your accent or pronunciation of words. Please feel free to share it or comment below without any subscription necessary. A very useful and fairly comprehensive audio on ‘liaison’ as per the link above. Hopefully someone has corrected however the speaker’s pronunciation of the English word ‘liaison’! I haven’t read the follow up article you mention here to know if you have included this hint. I know the the “Careful” hint, yes. I believe I mentioned when to pronounce the last syllable in French words somewhere on the site. But if I haven’t then that’s certainly something to write soon. Thank you for your comment. And don’t worry – even if the article was written years ago it’s still read quite frequently and I update the articles somewhat at random. Great list, thanks. One that I think is missing (that I just remembered, listening to a native English speaker sing in otherwise excellent French), is the aspirated ‘t’ in English. So an English-speaker’s pronunciation of ‘tu’ is often twice doomed to sound like ‘too’, by wrongly aspirating the t, combined with the common u/ou problem included in your list. Certainly that was one that my francophone friends would frequently use to pretend to be English speakers, to tease me. hello my name is the Marquis de Lafayette.I am a Frenchman who heard about the American fight for freedom. i wanted to help,so i volunteered to join the colonists in the fight for freedom. general Washington was very pleased to have my help. I was wounded at the Battle of Brandywine and went to France a hero. there i convinced the king of France to join the fight and help the Americans. I also spent much of my own fortune to help the American army. Hello, I’m french, if someone want work his english, write me at angelove@hotmail.fr !